It didn’t take long for Jon Jones and Daniel Cormier to fall back into old habits. Hours after their rematch was announced for the main event of UFC 200, Jones and Cormier renewed their rivalry at a UFC 200 kickoff press conference on Wednesday in New York. And just as one never forgets how to ride a bicycle, the simmering tension between the two light heavyweights was evident from the outset. “DC should have a lot of confidence,” said Jones. “Outside of me, he’s the next best thing. He can beat these other guys. He can’t beat me. I don’t believe greatness is coincidence, and I don’t believe DC is great. 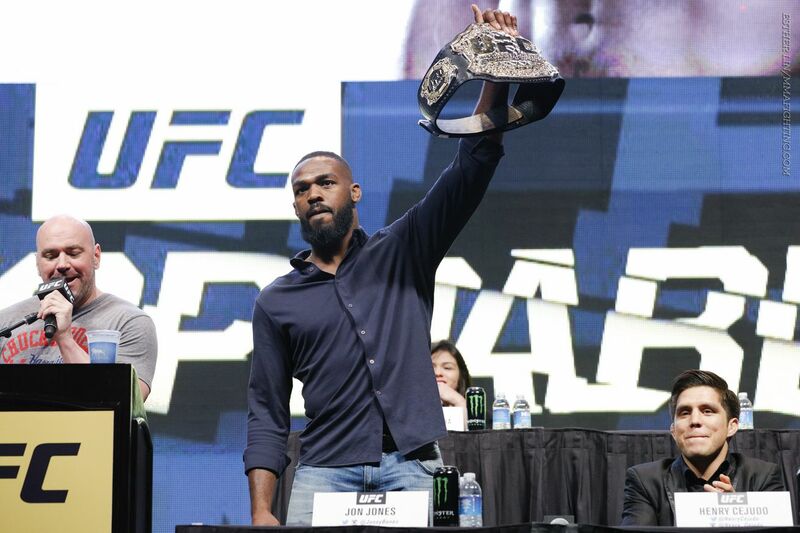 Jones defeated Cormier in Jan. 2015 via unanimous decision to defend his UFC light heavyweight title for a record eighth consecutive time. He was subsequently stripped of his belt and suspended by the UFC for his role in a widely publicized hit-and-run accident. In Jones’ stead, Cormier seized the mantle and has reigned as UFC light heavyweight champion, much to the chagrin of his rival. But now Jones is back. The pound-for-pound great emerged from a 15-month layoff this past Saturday, routing Ovince Saint Preux at UFC 197 to claim an interim light heavyweight belt and score a rematch against Cormier on July 9 at UFC 200.